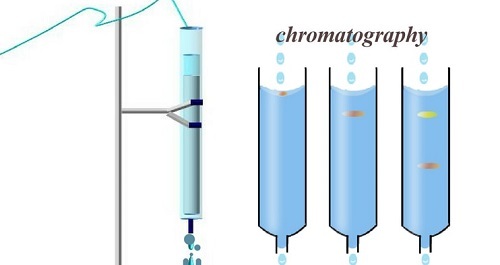 Column Chromatography: a common technique used to separate individual compounds from a mixture. You can use column chromatography on both small or large scale to isolate and purify material for use on a later experiment. Chromatography is able to separate substances based on differential adsorption of compounds to the adsorbent; compounds move through the column at different rates, allowing them to be separated into fractions. The technique is widely applicable, as many different adsorbents (normal phase, reversed phase, or otherwise) can be used with a wide range of solvents. The technique can be used on scales from micrograms up to kilograms. There are currently no items matching "Column Chromatography".